This month’s wine could be regarded as an oddity on the face of it, but the reality is a wine of enormous attractiveness hiding behind an unusual label…what on earth is Tempranillo Blanco? In 1988 a Rioja winemaker discovered a bunch of white grapes growing amongst his Tempranillo vines. After several years of investigation, the Rioja authorities accepted that this was a natural mutation of the usually red Tempranillo and approved it as a variety to be grown in the Rioja DOC. 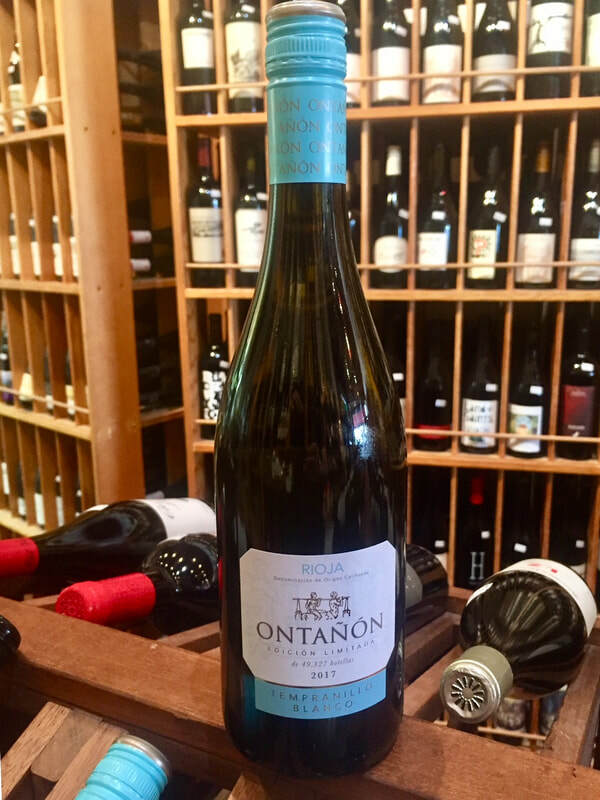 Ontanon released their first version of this “new” grape in 2016 and this follow-up is a treat. Sourced from organically farmed vines at 1200ft altitude, the resulting wine shows a vibrant acidity that backs a wealth of complex fruit flavors. The nose is a riot of white flowers, pineapple and citrus. The palate has lovely texture, minerality and balance. Stone fruit, orange blossom and crisp acidity frame a lengthy finish. This would be a fine wine for paella, risottos, grilled chicken and roasted vegetables. A good mutant indeed.